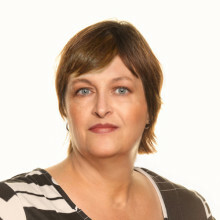 Kim Bergeron is an advertising, marketing and public relations specialist and storyteller based in New Orleans. She’s the founder of RightBrainDiaries.com, a lifestyles blog that she has used in part as a tool to support non-profit fundraising efforts. The blog has received a number of prestigious awards, including “Best of Category/Social Media” from the Public Relations Society of America / New Orleans Chapter and “Best Website” from the Public Relations Association of Louisiana / New Orleans. Kim’s professional work has been recognized with numerous local, regional and national awards, and her community service work has been honored with American Red Cross’ Power of Women Award and two time receipt of City Business’ Women of the Year Award. Her passion for all things New Orleans was most recently showcased when she orchestrated the Blackout Gold Second Line Parade, a Super Bowl Sunday event which drew over 30,000 people to the French Quarter to celebrate the unbreakable spirits of the Saints and its fans. The event, which garnered national and international media coverage, was executed by two people in just four production days by harnessing the power of social media.